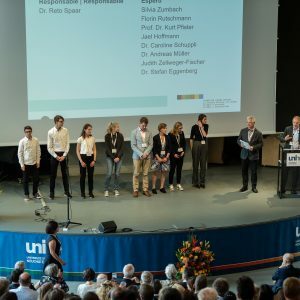 Neuchâtel (28th April 2018) – The national contest for young researchers, Swiss Youth in Science, closed its 52th edition recognising the efforts of the 116 participants who made it to the final. 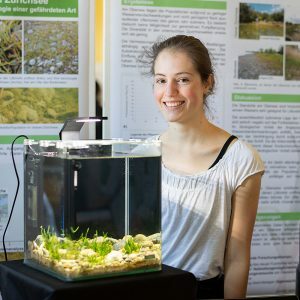 The Swiss Junior Water Prize 2018 was granted to Laura Bauer, a talented young student (17) from the from the Kantonsschule Wattwil (SG) for her work “Littorella uniflora am oberen Zürichsee – Untersuchung der aktuellen Verbreitung und Ökologie einer gefährdeten Art”, a research on a highly endangered water plan in Switzerland. The awarded entry is a meticulous research project that highlights the effects of human intervention on the delicate balance of water ecosystems. Laura Bauer was able to locate a colony of shoreweed on the upper shore of Lake Zürich, where this species had not been documented before. The increase of settlements around the lake has affected the natural fluctuations on the water level, which are critical for the reproduction of the plant. With her work, Laura makes an important scientific contribution towards the conservation of this aquatic plant in Switzerland. Furthermore, she has committed to surveillance of the locality where she spotted the shoreweed for the Foundation Infoflora. The Swiss Junior Water Prize recognizes young students between 15 and 20 years old, who have conducted outstanding school projects related to water and sanitation with proven environmental, scientific, social or technological significance. 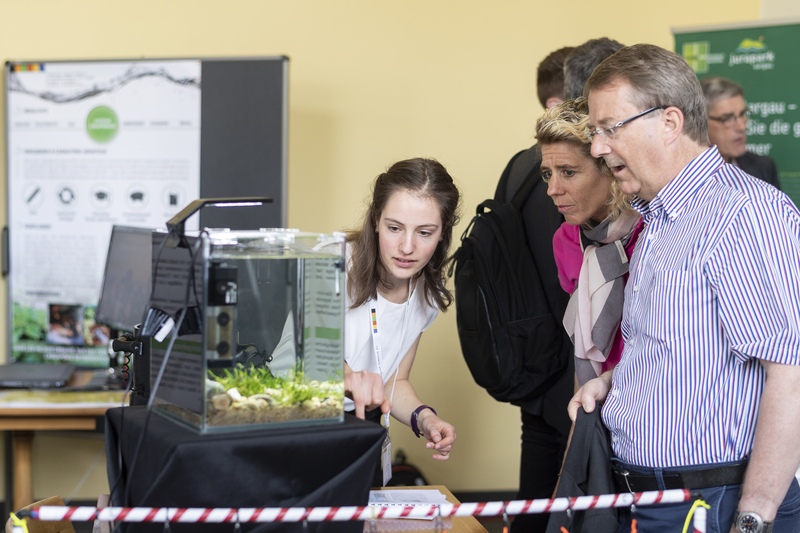 The winner is entitled to represent Switzerland in the international competition Stockholm Junior Water Prize, held during the World Water Week. The Swiss Junior Water Prize is a joint effort of the Swiss Water Partnership and the Swiss Toilet Organisation, aiming to encourage Swiss Youth to grow an interest in water and sustainability issues. The Swiss Junior Water Prize can be carried out thanks to the sponsorship of the following organisations. A special recognition to VSA for their contribution to enhancing the visibility of the Swiss Junior Water Prize within the water sector. The first ‘Professional Management of Water Well Drilling Projects and Programmes’... Our annual report 2017 is out now!